Idyllic location. Impeccably clean. The studio was compact with beautiful views of olive groves and sea.The owner was an excellent host who took care to make sure all was well including dealing with possible ferry delays! The property had character and Greek rustic, charm. The nearby beach is perfect. Apart from the balcony, there is also outside space to sit and eat. Really nice appartment in between foresty area and on walking distance of pitoresque pebble beach. Slso near small village with some nice restaurants. We rented a small bike (50cc) for 2 people to travel to the port or other beaches on the island. Staff was very friendly and helped us with getting luggage from and to port to the property. Peaceful, picturesque, characterful, sea view, great shower. We enjoyed the stay and the hospitality. Nice place, nice people. The perfect choice for relaxation. Η τοποθεσία είναι πολύ όμορφη και ήσυχη, τα δωμάτια καθαρά και περιποιημένα η παραλία που έχει είναι σαν ιδιωτική και σου δίνει την δυνατότητα να μην μετακινηθείς. Ευγενικό προσωπικό, το διαμερισμα ηταν πανω απο την παραλια και ειχε πολυ ωραια αυλη με ωραια θεα. Lock in a great price for Lithea Villas and Studios by the Sea - rated 9.2 by recent guests. 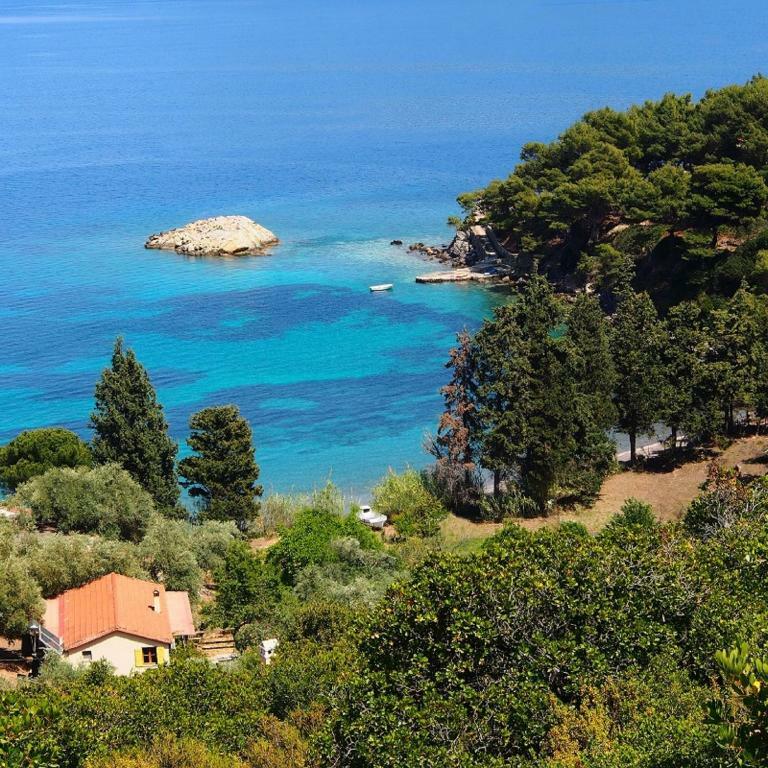 Lithea Villas and Studios by the Sea is located on the bay of Agios Petros in Alonnisos, 5 miles from the port of Patitiri. It offers spacious studios and villas, all with beautiful views and kitchen facilities. Free parking is in close distance from villas. Each self-catering studio at the Lithea Villas and Studios by the Sea has a balcony or terrace with sea or garden view. Towels and bed sheets are changed twice per week. 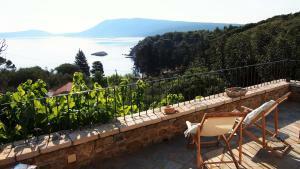 Lithea Villas and Studios by the Sea has been welcoming Booking.com guests since 2 Nov 2010. 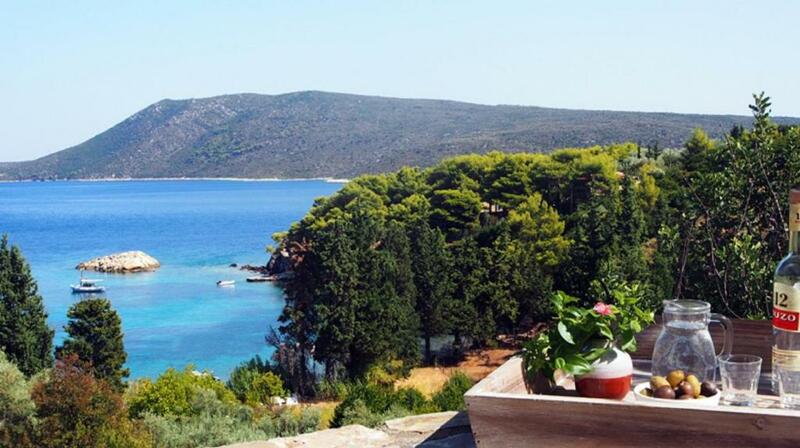 When would you like to stay at Lithea Villas and Studios by the Sea? Spacious, autonomous house styled according to the regional style. They feature a fully equipped kitchen with dining area and a comfortable seating area. This studio features a sea view, washing machine and balcony. Studios are accessible from the parking by a stone-built road. Please note that this studio are not recommended for people with mobility issues. This studio offers 1 double bed and 1 sofa bed. Ο κολπος του Αγιου Πετρου οπου βρισκονται τα στουντος και οι βιλλες μας ειναι ιδανικος για τον κοσμο που αναζητει την ηρεμια και την χαλαρωση. Η παραλια εχει αμμο σχεδον παντου και ειναι ιδανικη και για μικρα παιδια.Επισης ειναι προσβασιμη μονο απο ιδιωτικους δρομους και απο μονοπατι για ανθρωπους που αγαπουν το περπατημα..Στο διπλανο λιμανακι της Στενης βαλας οπου μπορειτε να το επισκευτητε περπατωντας ενα λιθοστρωτο μονοπατι μονο για δεκα λεπτα μπορειτε να βρειτε πολυ καλο φαγητο σε τεσσερις ταβερνες,να ψωνισετε στα δυο μαρκετ που υπαρχουν και να πιειτε τον καφε σας στα δυο ομορφα καφε.Επισης εδω θα βρειτε δραστηριοτητς οπως scuba diving,canoe kayak και wind surfing.Η πεζοπορια βεβαια ειναι κατι που προσφερεται και που αγαπαει ο κοσμος εδω στην υπεροχη φυση που υπαρχει στο νησι. House rules Lithea Villas and Studios by the Sea takes special requests - add in the next step! Lithea Villas and Studios by the Sea accepts these cards and reserves the right to temporarily hold an amount prior to arrival. Please note that studios are not recommended for people with mobility issues. Please inform Lithea Villas and Studios by the Sea in advance of your expected arrival time. You can use the Special Requests box when booking, or contact the property directly with the contact details provided in your confirmation. If you need a table or desk, then it’s probably better to rent one of the villas with more space. The last two days were very windy so I did some work on my lap top, which would have been easier to do on a table. However that’s a small quibble as we were supposed to be on holiday! Bed a bit too hard, but that’s just personal. Bed was hard but that just personal choice, no complaints really. Everything was fine. We truelly enjoyed the stay. No problems at all. Great place to relax and enjoy nature and hospitality.